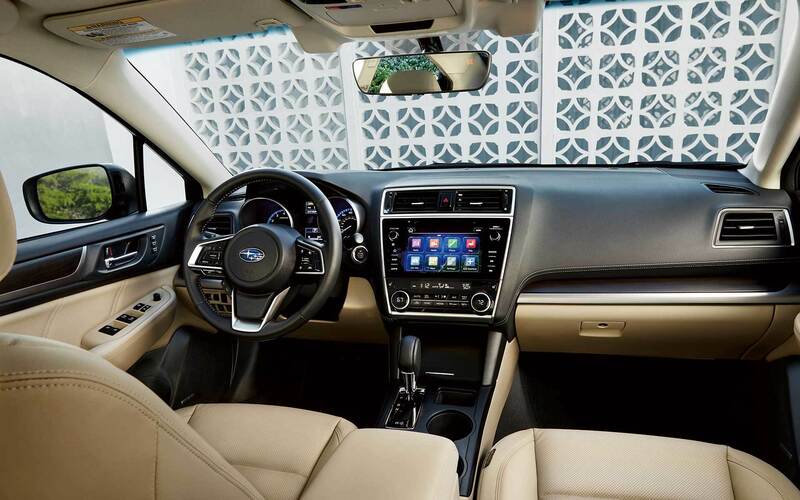 As the roomiest vehicle in the midsize sedan segment, the Subaru Legacy has already made a clear commitment to offering a comfortable and convenient ride. 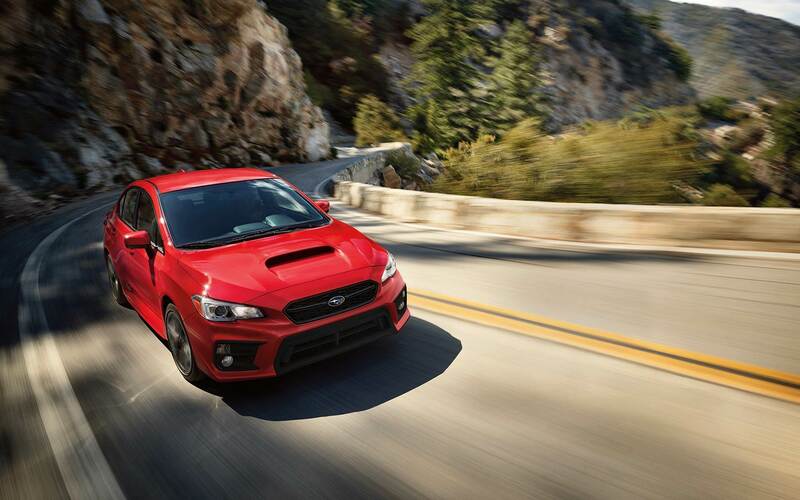 In the 2018 model year, Subaru is set to roll out mechanical upgrades to keep the Legacy on the cutting edge of drivability, as well as major interior and exterior enhancements to make a ride in the 2018 Legacy a modern, luxurious experience. 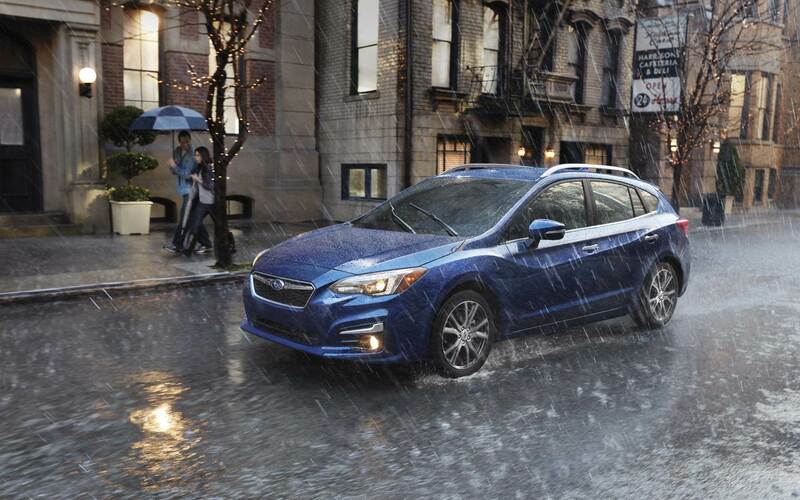 What is the power and drive like in the 2018 Subaru Legecy? The 2018 Legacy will be available with two capable powertrains: first, the standard 2.5-liter 4-cylinder BOXER engine, and optionally the upgraded 3.6-liter 6-cylinder of the same make. 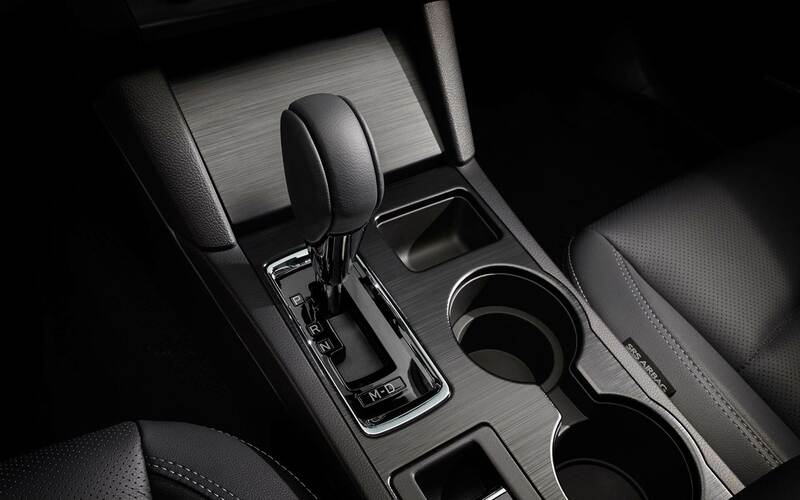 Standard with both engines and all trim levels of the Legacy are a Lineartronic CVT (continuously variable transmission) with manual paddle shifters for an optimal drive and fuel efficiency, Symmetrical All-Wheel Drive and Active Torque Vectoring. 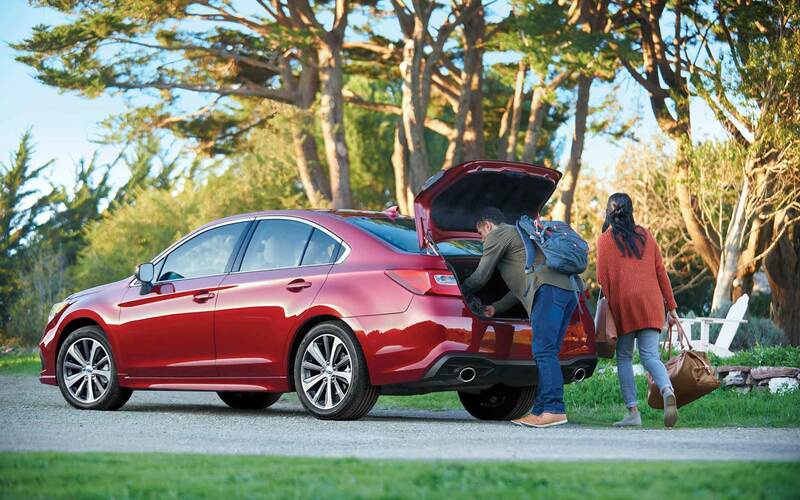 With the fuel-economy maximizing CVT, the 2018 Legacy reaches up to 34 mpg on the highway. Other mechanical advancements include Subaru's LED Steering Responsive Headlights, which track the direction of upcoming turns and shift with the vehicle to provide higher visibility around corners, and available High Beam Assist, which automatically detects oncoming vehicles and adjusts high beams accordingly, allowing the operator of the vehicle to focus on the drive. 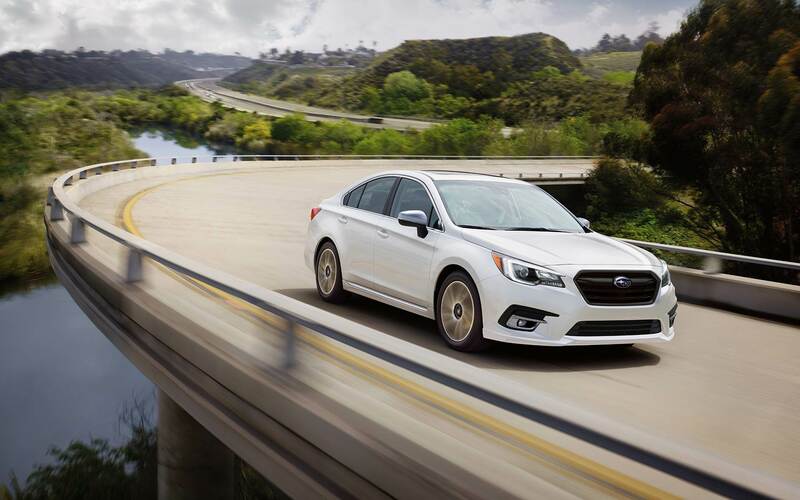 Reverse automatic braking, blind spot detection and rear cross traffic alerts and Subaru's award-winning EyeSight Driver Assist Technology package are among other advancements that will make operating the 2018 Legacy simpler and safer than ever. What's new with the 2018 Legacy's design? 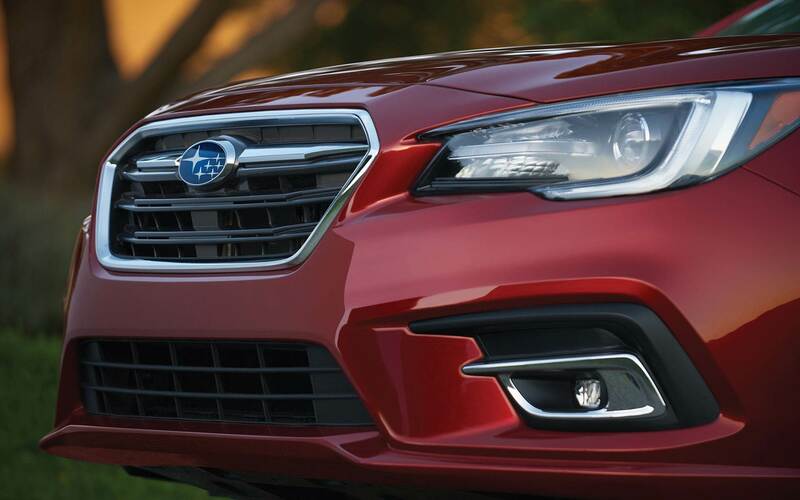 Body design on the 2018 Subaru Legacy blends classic Subaru features such as the hexagonal grille with bold, sporty elements including a sleeker bumper design, a premium tailpipe, and wider, lower grille openings. Aside from enhancing the Legacy's exterior appearance, many features of the 2018 design improve the interior experience by way of reducing vehicle noise and the effect of bumps and body roll. 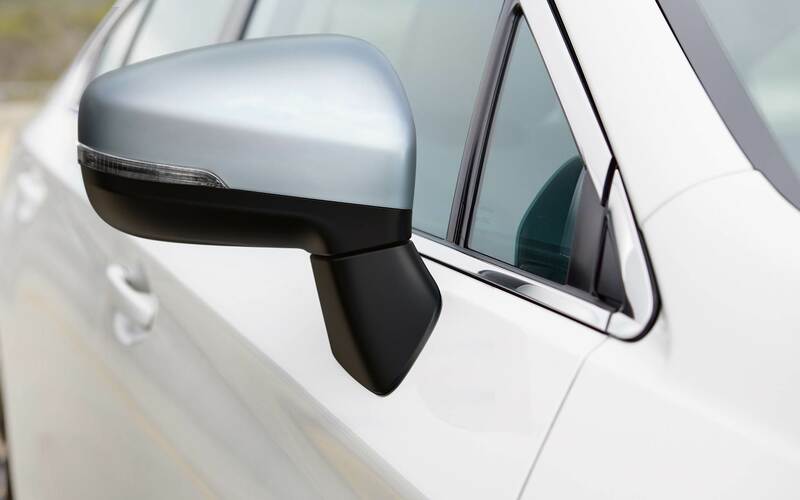 Reshaped side mirrors, thicker wheel well aprons and insulating inner film glass on windows all work together to create a quiet ride, while retuned dampers and suspension combine to offer a smooth, uninterrupted cabin experience. High contrast wheel designs and an array of rich exterior color options round out the vehicles sophisticated appearance and feel. 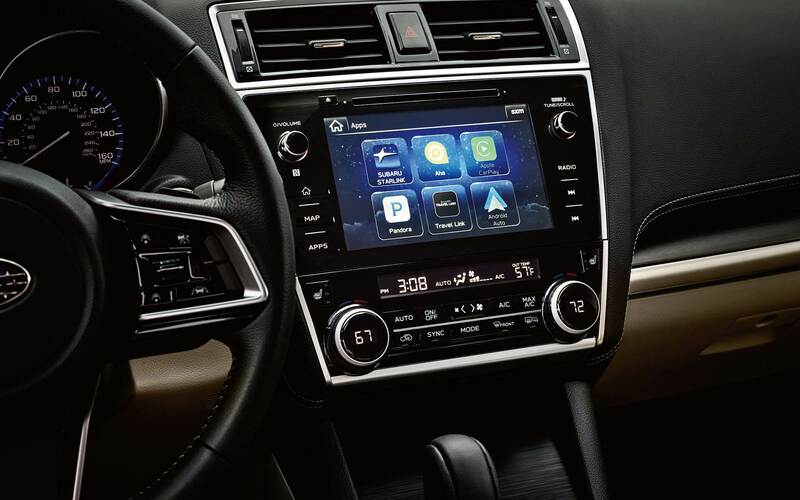 What kind of tech and comfort features does the Subaru Legacy have to offer? 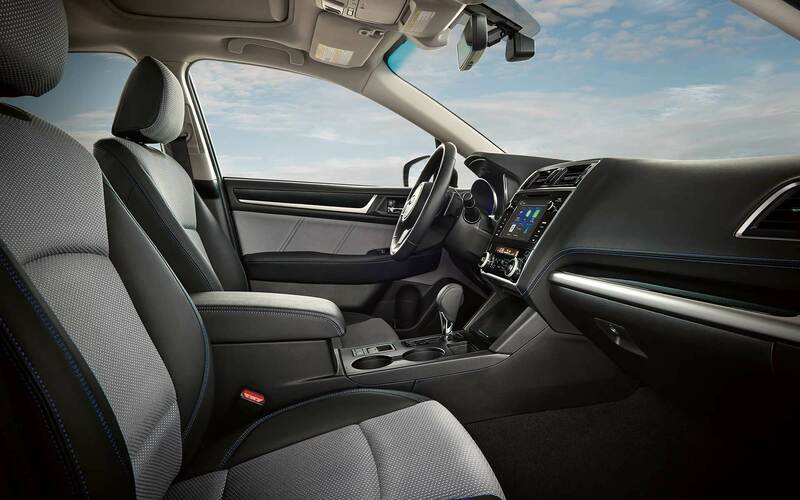 Technology and comfort combine to create a deluxe driving and riding experience in the Legacy's interior. Subaru "Starlink" technology wraps Bluetooth, USB and auxiliary connectivity; Apple and Android smartphone integration with voice command; a TomTom navigation system and a variety of apps all up into one multimedia hub, easily accessible through a 6.5 or 8-inch touchscreen interface.A 10-way power adjustable driver's seat allows for 2 memory-set positions, and rear passenger comfort Is optimized with available heated rear seats, rear air conditioning outlets and rear USB charging ports. Premium cloth and leather upholstery options both provide soft and durable seating surfaces. 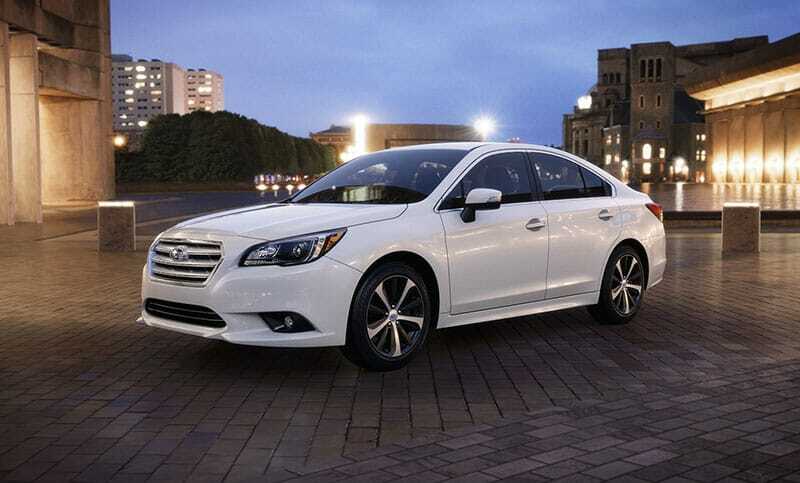 When it comes to this midsize sedan, "legacy" is the operative word. 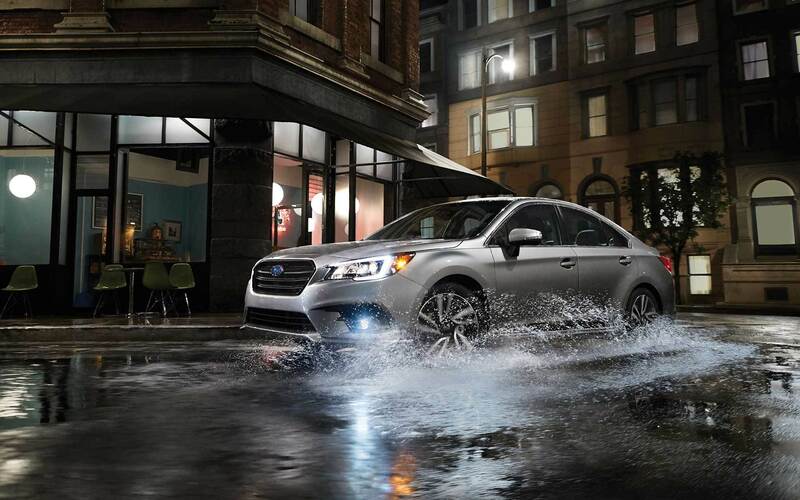 The 2018 Subaru Legacy continues its tradition of being a spacious, comfortable sedan with premium powertrain options that allow for a smooth and powerful drive. 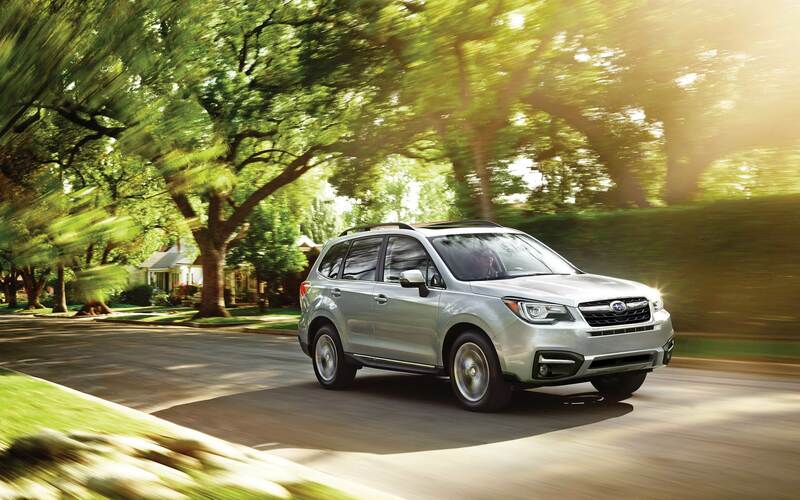 The latest innovations make the newest Legacy a serious contender in the segment.